Here's how to get your battery replaced. What’s the reason for the program? That sounds bad. Is my laptop at risk? How do I know if my MacBook is eligible? OK, my MacBook is one of the affected units. Now what? Will my warranty be extended? How much time do I have to get it fixed? Apple has said that a component inside “a limited number” of 13-inch MacBook Pro units could fail, “causing the built-in battery to expand.” Apple did not specify which component was faulty or how it affects the battery. Nope. While expanding batteries generally pose of risk of fire or explosion, Apple assures that this isn’t a safety issue. A pretty small amount actually. 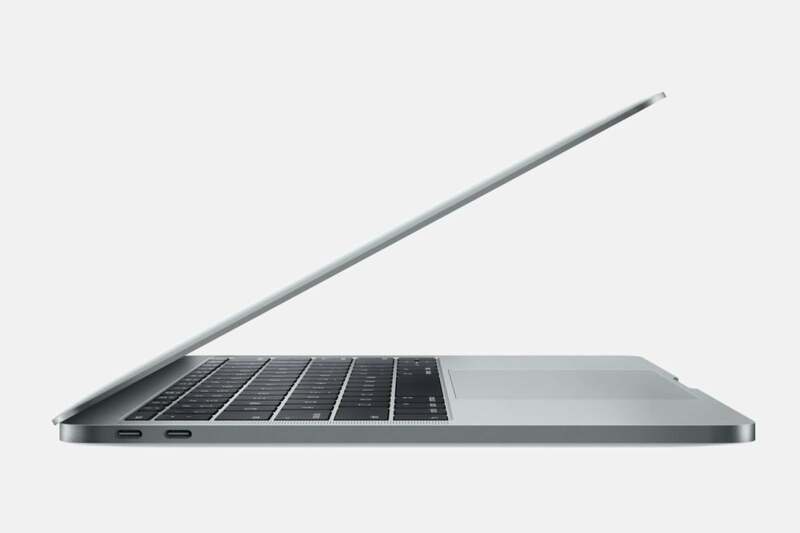 First, only non-Touch Bar models manufactured between October 2016 and October 2017 are affected. And among that group, only some of the units manufactured during that time are affected by the issue. You can check your serial number on Apple’s site here. Click on the Apple logo at the top left of the menu bar and go to About this Mac. You’ll see your serial number in the window that appears. From there, you can copy it and paste it into the search bar on the support page. 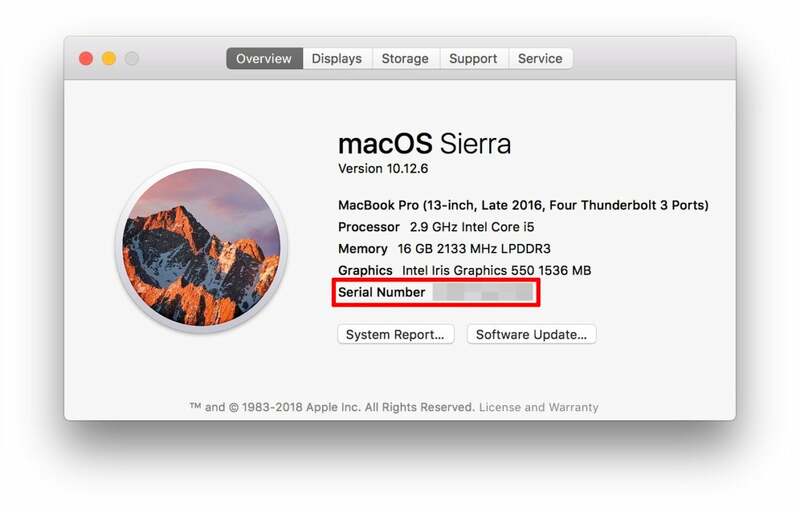 You can find your MacBook Pro’s serial number in the About This Mac dialoge box. Don’t worry, yours will be legible. Make an appointment at an Apple Store. Make an appointment at an Apple Authorized Service Provider. You can find a list of service providers in your area on Apple’s support site. Mail your MacBook to the Apple Repair Center. As always, make sure to back up your data before sending your MacBook in for repairs. Since the program is limited, wait times shouldn’t be nearly as long as they are with some iPhone 6 models. Apple estimates service time is 3 to 5 days, though it could be longer depending on the availability of batteries. Nothing. However, Apple notes that if there is prior damage to your MacBook that “impairs the replacement of the battery,” the service technician may need to fix that problem first, resulting in a possible charge. Apple hasn’t put a specific expiration date on the program, but it does say that the program covers affected MacBook Pro models for five years after the first retail sale of the unit. So that means Apple will replace batteries until sometime in 2022.